Today I’m bringing you another review from the Holborn area. When you’re as busy as me, you want something quick, easy and hopefully healthy to fill you up while you’re on the go, and the place I keep going back to: Adobo. Now, let’s be honest, the name Adobo doesn’t give much away. In my first few weeks of Law School I had clocked its small doorway with its bright colours and cool artwork on the sandwich board outside, but I think I can be forgiven for not knowing EXACTLY what they offered. One day I was brave enough to go inside, it was noisy, rammed full of people, but smelt AMAZING. Fortunately for me, the large queue gave me time to work out what they did. 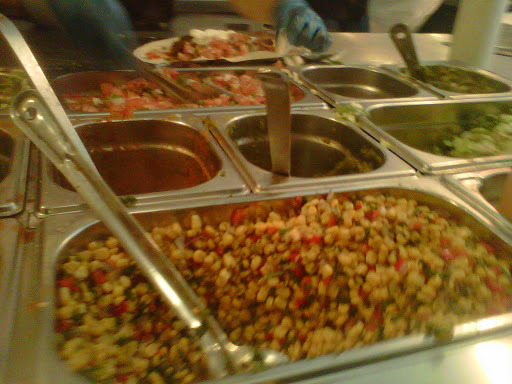 To sum up imagine subway…but with Burritos! Let me explain. The “restaurant” is long and thin with a subway style bar running most of its length. Along this bar you do various things: step 1 choose your style, either burrito, tacos, or salad; step 2 add white/brown rice and your choice of black or pinto beans; step3 choose your filling, either grilled chicken, chicken tanga, barbacoa (beef), carnitas (pork) then decide if you want to add guacamole, chorizo or extra meat; step 4 choose your salsa or salad dressing, either salsa Mexicana, corn salsa, salsa verde habanero hot salsa, sour cream, cheese etc. ; step 5 PAY! 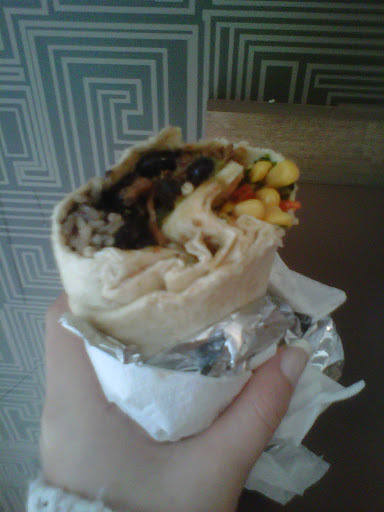 Your burrito passes along this line before being expertly wrapped up in tinfoil keeping it warm and snug before you pay (10% discount for students) and head on your way! You can eat in…assuming it’s not so busy all the tables are full, but it gets quite crowded and noisy with the long queue so I always take mine away. 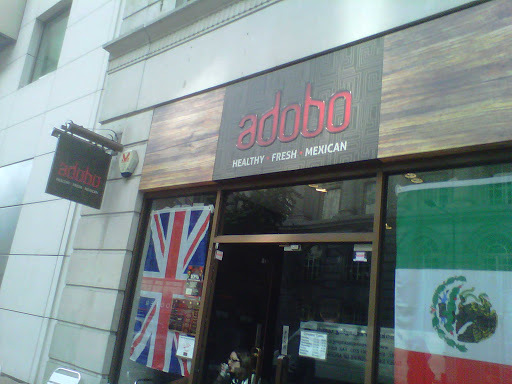 Adobo prides itself on being health, fresh and Mexican. And I can definitely vouch for the last two! It is very authentic – in particularly their pulled pork cooking in orange juice herbs and spices. 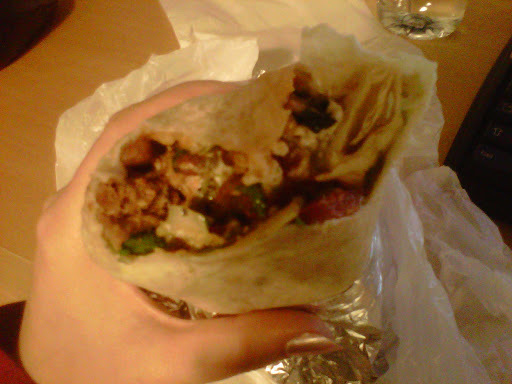 As for the health factor, I’d like to believe it’s healthy but it just tastes so damn good! The sour cream is low-fat as standard which I LOVE, and there is a calorie counter on their website which I’m too scared to use. Right now I’m pretending its good for me and that’s enough in my book! I’ve become a bit of a regular in the last few months and my go to burrito is the small burrito with brown rice, coriander and lime, with pinto beans, carnitas finished with salsa verde and sour cream. I am yet to find a lunch that is as exciting, filling and “healthy.” So why would I stop going back? 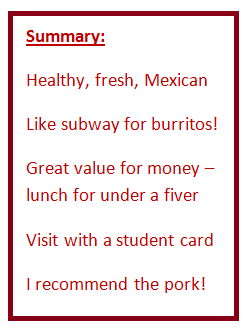 A small burrito will only set you back £4.95 BEFORE student discount so it’s not exactly expensive either. A small more than fills me up, so I’m never left picking around the crisps and chocolate bars mid-afternoon. The whole vibe of the place is also infectious. 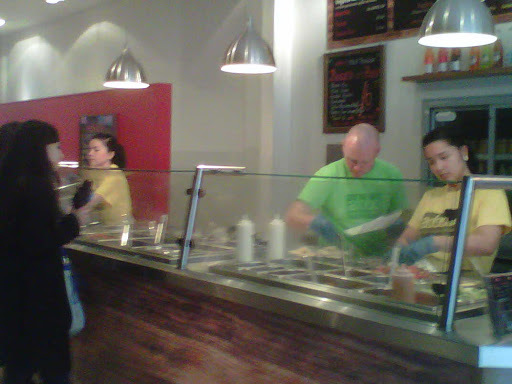 You get to know the staff who are super friendly but efficient and it’s not uncommon to bump into people you know also queuing for thee delicious burritos! 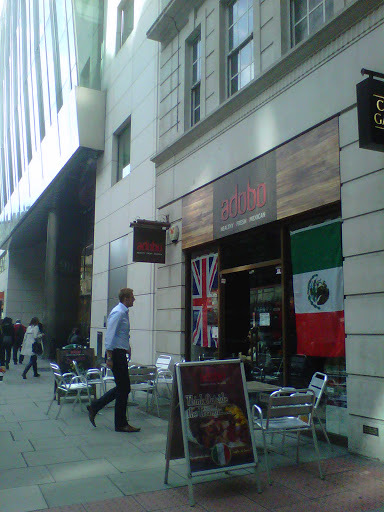 So if you’re sick of your boring old sandwich or salad and are sat at your desk wanting something new, I urge you to look no further than Adobo just a 2 minute walk from Holborn Station offering some of the best lunch time grub around! 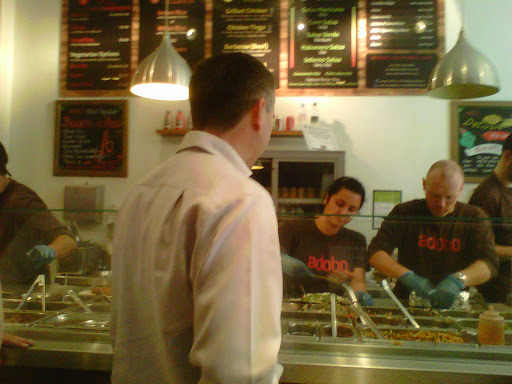 Adobo says it themselves – the sandwich is dead – long live the burrito!